Damar Varnish is very versatile, both used as varnish in its own right, and as a popular additive to many other glazes and mediums. Damar Resin is derived from the Damonar Fir and is soluble in Oil of Turpentine. It is sold in lumps of varying sizes and varies from an off white colour to pale yellow. The less coloured the better. Buying ready made varnish can become quite expensive, but thankfully the procedure for making large quantities of your own is relatively straightforward, and by comparison far cheaper. A large glass jar (one that holds at least 1 ¼ pints or 700ml) with a screw top. Fine mesh cloth – muslin or old stocking or tights are ideal. Wrap the dammar crystals in the cloth. 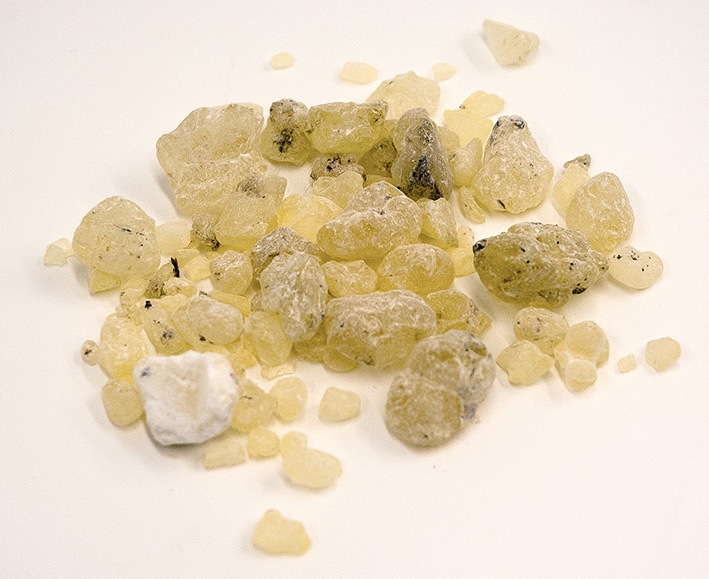 An exact quantity is hard to determine, as it very much depends on the size of your jar, but as a rough guide use about 5oz of crystals to ½ pint or 300ml of Turpentine. 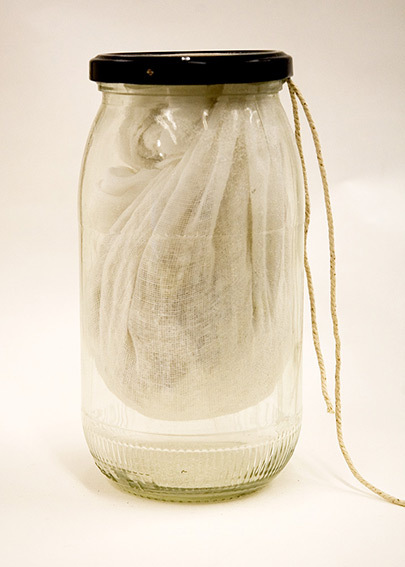 Generally you want to aim to have sufficient wrapped in the cloth or stocking material so that when put in the jar and held there, there is a gap of at least 1” or 5cms between it and the bottom of the jar. Tie the top of the material together tightly with the string, and hold this over the edge of the jar top. Pour in the Turpentine, enough to completely cover the crystals in the jar. With the string still out of the jar, and also ensuring that the bag of resin is suspended, screw the top on the jar tightly. 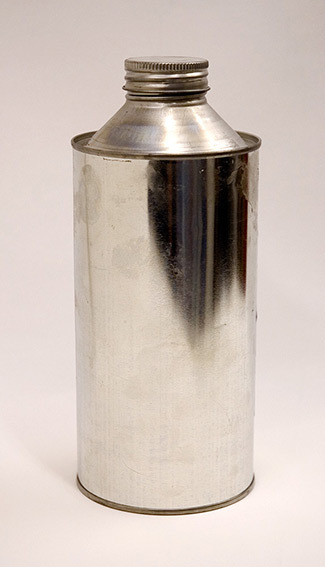 This is to prevent any evaporation of the Turpentine. All that is required now is to leave it for a few days, until the resin is fully dissolved in the Turpentine. To aid the process you need to agitate the jar several times each day. When fully dissolved any impurities should be left in the bottom of the bag, which can then be thrown away. The remaining solution should have a slightly viscous cloudy consistency. Should any impurities remain the solution can be further refined by filtering again into another jar. Your newly made Dammar Varnish should be stored in a brown glass jar or metal jar with screw top. Stored in this way the mixture should last some considerable time.